Hey Folks, Just a quick update to let you all know about my latest project. 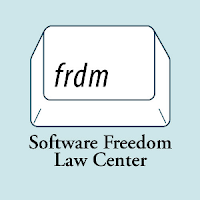 It’s a brand new podcast from the fine people at The Software Freedom Law Center in New York and they’ve asked me to come on board as producer. Of course I said yes immediately and I’m very excited about it, I’ll be editing and mixing the show, helping out with recording techniques and general audio stuff. With a background as an audio engineer and also my podcasting experience from Linux Outlaws I hope I can help to bring them the best audio quality possible. You can find it on the SFLC website in ogg (of course) and mp3 formats. So please go and check it out. I think it sounds great (but then I would hehe) and I’m really excited to be working with such well respected names in the free software world. I think this is an area that few people could cover authoratively and the SFLC are just the experts for the case… no pun intended. Awesome Dan, I saw Mr. Kuhn’s post about it earlier and I’ve just subscribed. @dan, I’ve already got a comment from a friend that the show sounds “better than all the Linux podcasts” he’d heard. He hadn’t listened to Linux Outlaws yet (obviously, because it sounds equally good ;), but I turned him onto it. Hello there, that’s good news. I’m a new listener to Linux Outlaws and I’ll be following this podcast too. Also, posted links on my own blog. First episode was terrific! Sound quality was splendid. Keep up the great work, Dan. Good job dan your amazing at audio production so yeah they made a good choice! 1 Pings/Trackbacks for "Update: Introducing… The Software Freedom Law Show"